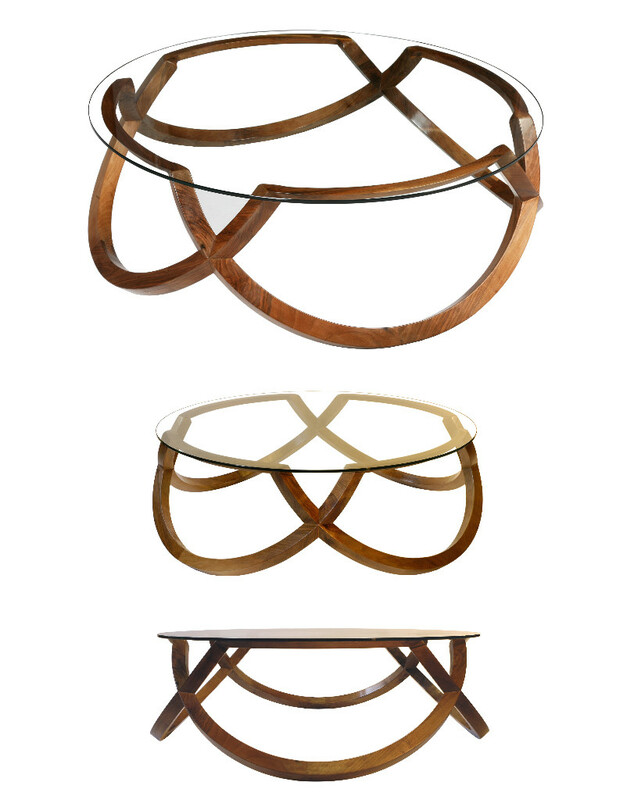 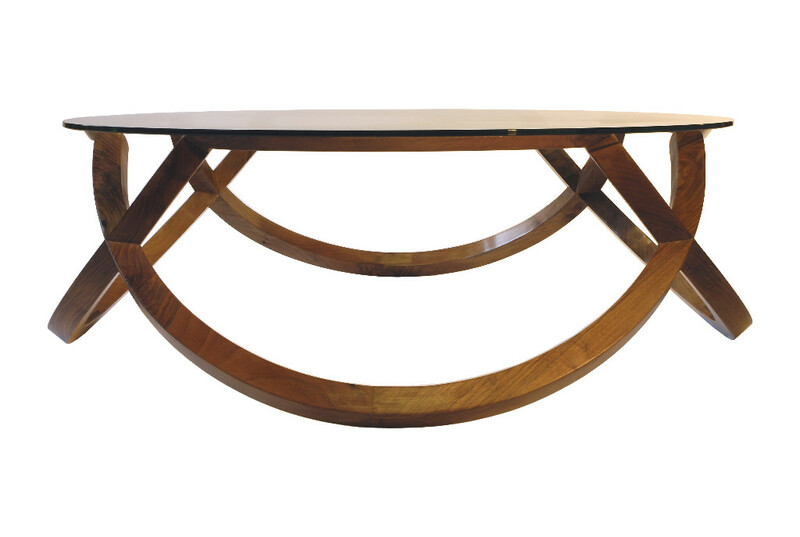 A coffee table with four semicircles walnut assembled together to form the support of four cross surmounted by a glass plate. 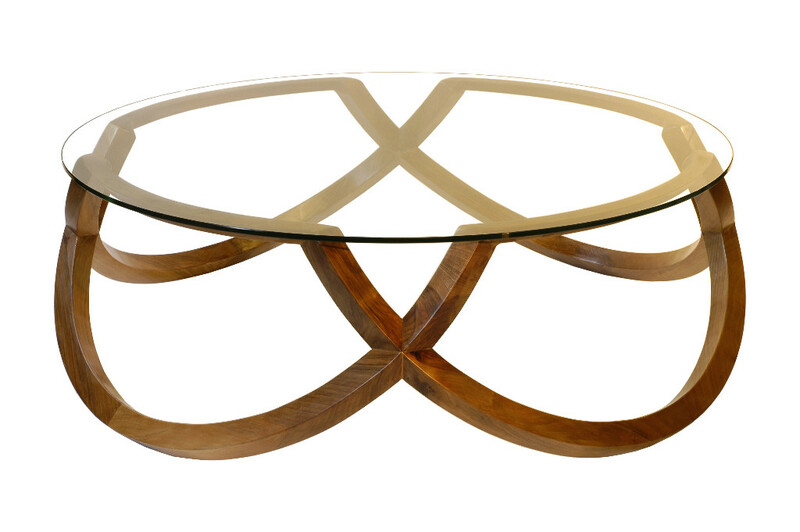 This unique piece is a creation inspired by the symbol of infinity. 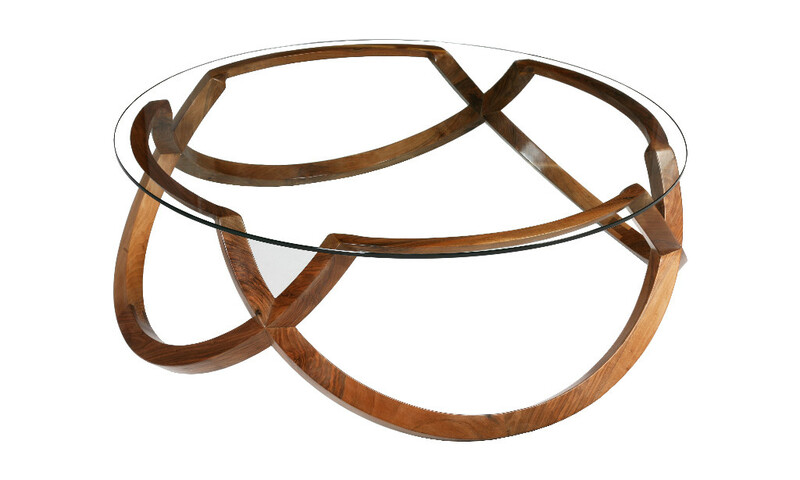 The curves of the wood and draw a slightly wavy structure just wear the glass tray. 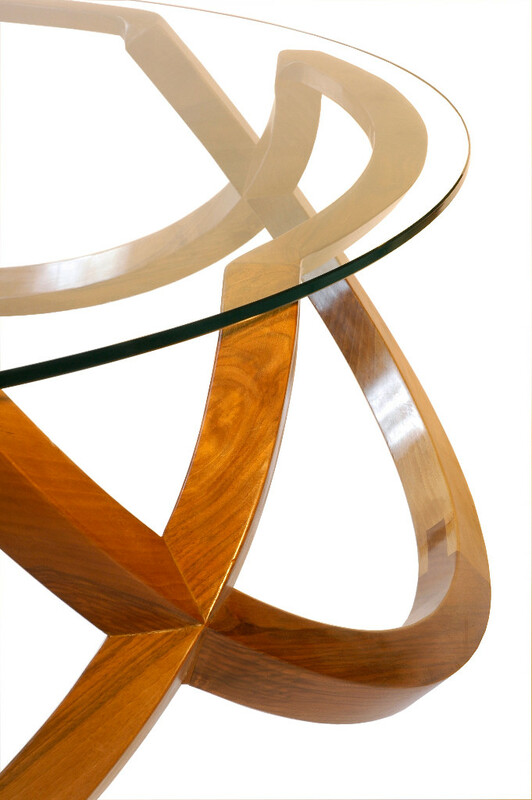 The combination of both materials and radically opposing lines offer a new form and a contemporary air style. 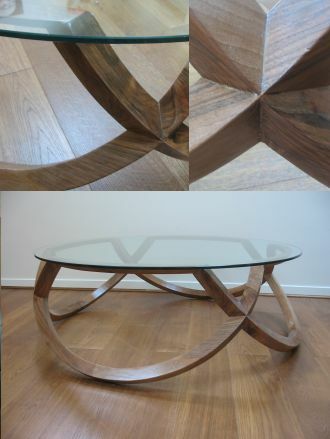 Solid walnut and glass “securit” (which allows you to break without damage in a collision). 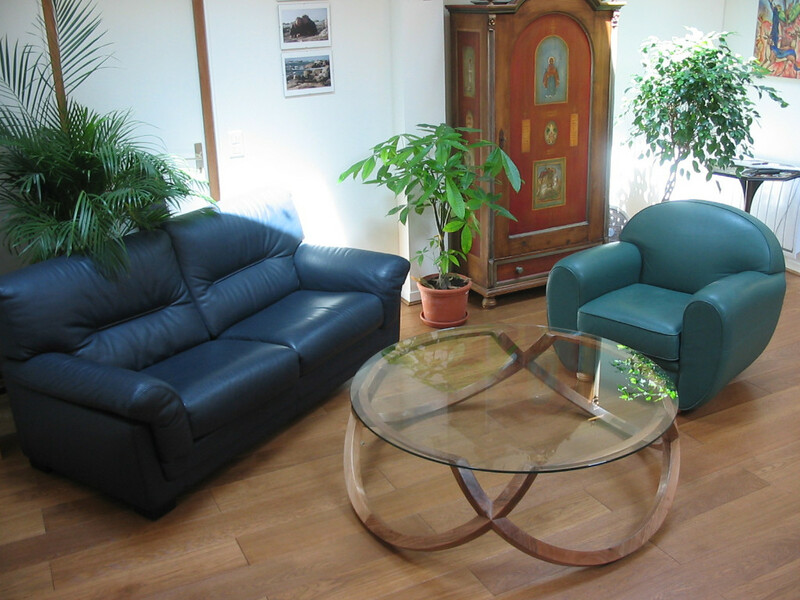 Traditional finish with a polish (beeswax) applied hot to allow good stability over time.